For 15 consecutive years, Gallup pollsters have asked the American public the same question: what is the most trusted profession in the nation? The answer has been unwavering—nurses. The poll shows 84 percent of Americans ranked nursing as the top profession in the nation with the highest ethical standards and honesty. The next highest profession, pharmacists, rated at 67 percent, a full 17 percentage points below nurses. Indeed, nursing has ranked as the most trusted profession in multiple studies in addition to the Gallup poll. The nurse-patient relationship has been foundational to the practice. As nurses take more leading roles in healthcare and practice to the full extent of their education and training, trust will take on an even more important function. This is particularly important for registered nurses (RNs) who are advancing their careers through bachelors of nursing science (BSN) degrees. The concept of trust is one that reaches beyond nursing and healthcare. It applies to all situations, whether they are personal interactions or business deals. Researchers at the Institute for Public Relations (IPR) identified three measurable components that are essential to trust: competency, integrity, and dependability/reliability. The purpose of trust in nursing goes beyond these three components. A recent study by Sachiko Ozawa, et al., published in the journal Social Science & Medicine, found healthcare trust scales predominately look at honesty, communication, fidelity, confidence, competence, system trust, confidentiality, and fairness. 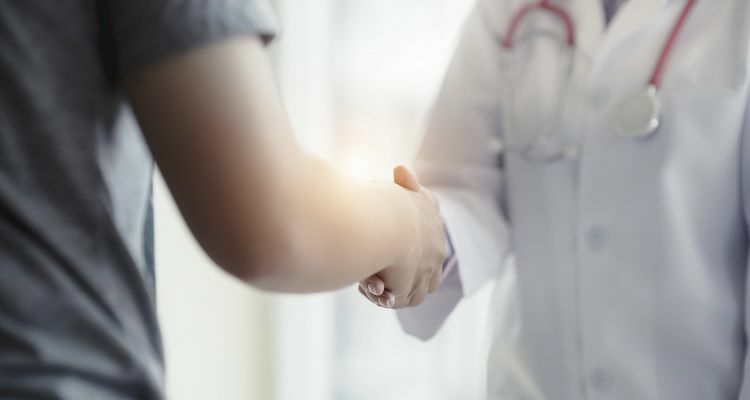 A survey of nurses for the managed healthcare company UnitedHealth Group found “trust transforms healthcare.” UnitedHealth Group nurses said that open communication with patients and their families depends on the confidence they have in medical professionals. For the Gallup poll, conducted via telephone Dec. 7, 2016 through Dec. 11, 2016, pollsters asked the same question of more than 1,000 respondents: “Please tell me how you would rate the honesty and ethical standards of people in these different fields — very high, high, average, low, or very low?” The pollster then read a list of 22 professions for respondents’ reaction. Historically, nurses have ranked “high/very high” in the Gallup poll, which has included nurses in the list of professions since 1999. The only year nurses didn’t rank at the top was 2001, when firefighters took top honors. In response to the poll, Pamela F. Cipriano, president of the American Nurses Association, said the continuing high rankings in the poll reflects the public’s confidence in the profession. “Trust plays an important role in the relationship between nurses and the patients we serve,” she said. Nursing professionals attribute the unshakable trust in nurses to their education and experience, which assures patients that they can trust nurses to follow through on medical care and do the right thing. “The trust that exists between patients and nurses is based on a simple concept: that the nurse is a competent, qualified professional who puts the patient’s best interest and safety first,” the National Council of State Board of Nursing said. At the heart of nursing education is the call from the Institute of Medicine (IOM) to elevate nurse training throughout the United States. In its 2010 “Future of Nursing: Leading Change, Advancing Health” report, the IOM called for nurses with associate degrees and nursing diplomas to pursue BSN degrees within five years of graduation. The IOM recommends 80 percent of all nurses hold a BSN degree by 2020 because the degree introduces a wide range of competencies, including healthcare policy, finance, leadership, and systems thinking. BSN coursework is designed to provide nurses with the knowledge and skills the need to build patient trust. Nursing students enrolled in Duquesne University’s online RN-BSN program learn advanced skills to play a role in healthcare policy development and leadership. Duquesne University’s program is 100 percent online, allowing students to pursue their degrees on their own schedule. The university is nationally recognized for excellence in nursing education, with faculty members who work to ensure students are studying the most current practices. U.S. News & World Report ranks Duquesne among the top nursing schools in the nation.